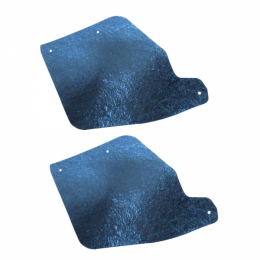 A arm dust shields - pair RH & LH. Pieces attach to front inner fenders over a arms. Top quality, die cut from masticated rubber as original. MADE IN THE USA.